'Tis the season. Fa la la la la. 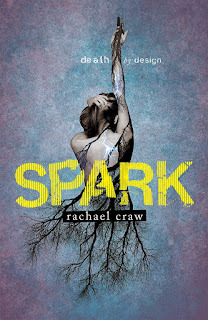 With thanks to my dear friend Rachael Craw and Walker Books Australia, they're giving away the entire Spark Trilogy to one lucky Australian or New Zealand resident. To celebrate, I'm thrilled to be able to share with readers a bonus Christmas scene from the Spark series. 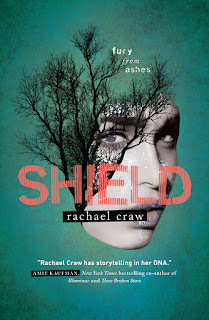 Check Rachael's website next week for the final series giveaway! 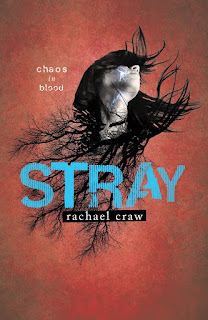 The following is a scene from a 2012 version of Stray that never went to print. I had forgotten all about it until I was trying to think of Christmassy posts to share with this giveaway. Then I remembered, looong ago in the recesses of time, that I had written a scene where Evie and Jamie exchanged Christmas gifts! How perfect. Of course, it's rather an old bit of writing so go easy on me Merry Christmas Spark Army, I love youse guys! “Merry Christmas.” Jamie’s voice carries down the hall from the front door. I picture the wry twist of his mouth as he bends to kiss Miriam’s cheek. This was all her idea – her and Kitty’s – a belated gathering to break the ice, post-trauma. I hide in the kitchen, pouring drinks and blindly arranging finger food as Leonard and Barb offer stiff greetings and Kitty overcompensates with breezy good cheer. This is a terrible idea. They’ll never forgive me for putting Kitty in danger. Canapes and champagne for godsake. I glance over my shoulder like a guilty child and drain a crystal flute in a few desperate gulps before refilling it in a seamless manoeuvre. I’m halfway through my second glass when Jamie’s reflection appears in the dark kitchen window. I spin, sloshing the contents over my hand, remembering his anti-booze speech after the Halloween ball, but Jamie’s reproving glare is nowhere to be found. His eyes skim the neckline and hem of my dress and my skin warms with an all over blush. “Shh.” I nod in the direction of the living room. “Hardly.” He rests his chin on my shoulder and places a small pale blue box with a tell-tale ribbon on the counter. “You got me something?” He releases me to lean back against the counter, grinning, eyebrows high. I reach past him for the small box wrapped in cheap Christmas paper on the windowsill and place it on the counter next to his ostentatious gift for me. “You already have one.” I chew my lip, stupidly embarrassed. I can’t look right at him. I grimace at the pale blue box, picking it up and trying not to watch him as he tears the paper from his present. I loosen the ribbon, lift the lid and hold my breath. There’s a small folded card which reads, Made to Order and under this a pendant. “Best not to ask if it makes you twitchy.” He raises the small silver medallion from the case and hands me the chain. I offer up the little blue box. “What?” he murmurs, draping the filigree chain around my neck. “Beautiful.” It is. Breathtakingly so. A tiny rose gold angel encircled with diamonds and the inscription ‘Saint Michael Protect Us’. I shake my head as he fastens the clasp. He turns me to the window and my eyes fall first on the pendant then his face. “Thank you for my gift, Everton.” He bumps his nose gently against mine, making me cross-eyed. “I love it.” But it feels like, I love you. Me too Hana, such an incredible series! Well I LOVED the little Chrissy gift scene! Now I'm feeling all warm and fuzzy :-). Jamie and Evie will always be two of my favourite characters in young adult. Good luck Sarah and thanks for entering! I can't enter but good luck to those that do! Fun giveaway. Happy Holidays to you too!!! nice covers for the set. The covers are absolutely stunning. The spine actually creates a tree when placed together. They're spectacular! A relaxing day off with family - all I need. What a beautiful sentiment Tara, I couldn't agree more. Yes! Such a brilliant series. I loved the blend of science fiction and romance. I'm one of those people who never know what present I want for birthdays/Christmases. I wouldn't mind if Santa brought me the illustrated edition of Harry Potter and the Chamber of Secrets though! :P Thanks for the giveaway! Ooh, I have that one and well worth asking Santa if he can hook you up with a copy. The illustrations are gorgeous! Good luck Cilla and thanks for entering. The series is absolutely wonderful! One of my favourite #LoveOzYA reads. Aren't they just! And the spines together also create an image of a tree. So, so beautiful! NOOOOOOOOOOOO I need these books! I have had them on my to read shelf for a while now and they are SO BEAUTIFUL OMGEEE but I feel like no matter who is holding a giveaway I can never participate because I live in Germany haha it's usually only US and Canada (I really need to go back....just for the giveaways haha). This is an awesome idea though! I'm already jealous of the lucky winner! There's so many awesome giveaways that tend to be US only doesn't there. Sorry you can't enter this one Esther, the series is magnificent and hopefully you can pick up a copy soon. Aren't they stunning! And the spines even create their own picture as well. Such a remarkable series! I completely agree. There's no such thing as having too many books. Thanks for the super giveaway! I haven't started the series because I was waiting for all the books to release and now they have, so sad for fans not ready to say goodbye, but good news for me! I don't want much for Christmas. I'd be happy with two non fiction books I've had my eye on, one a natural DIY handbook and Lauren Graham's autobiography. Ooh, I love DIY handbooks, a bit like You Tube tutorials for readers. So handy! I've taught myself bricklaying and rendering from tutorials and are quite the handy woman now. Good luck Bec and it's wonderful to see you again sweetheart! Thanks for the giveaway Kelly, Walker Books and Rachael! I've been wanting to grab a copy of Spark since day dot, and have heard nothing but amazing things about the series. :) For Christmas this year, I'm wishing for a healthier and more financially stable 2017. That would be absolutely lovely! I'd like 2017 to be where everyone around me is healthy too. I feel like I spent so much of 2016 helping others back to good health and it's emotional not being able to do much but offer a hand and support. Good luck sweetheart and fingers crossed! I entered the first giveaway for the Spark Trilogy and now I'm entering this one! I the trilogy has been on my TBR list forever, and the covers are just gorgeous so good luck to everyone! For Christmas 2016 I am wishing for my grand parents to be able to sell their house so they can finally move away and stop struggling! That's a wonderful Christmas wish Dayna, they'll be in my thoughts and hopefully a sale will come through soon. Good luck and thanks for entering! Oh I do love Christmassy things! I do need to read this series still, eep. Books 1 and 2 are staring at me from my shelves (maybe I should get book 3 before I start...just in case?) :D thank you for sharing this delightful little scene! Wasn't it gorgeous! I can never get enough of Evie and Jamie. I loved watching their relationship develop throughout the series. Yes! You really must read them Wattle, they're magnificent!